Paper 3 11/16" x 8 1/2"
2 PMS colors printed on Side 1 of 12pt C1S Semi-Gloss stock. H4 business card slits on right pocket. Fifth Gear, an e-commerce service provider, uses its logo in three ways to create brand recognition without oversaturation. The geometric gear is the centerpiece of the front cover, while smaller icons along the bottom of the cover represent the brand's services. The logo reappears on the interior left pocket, this time enlarged and off-center to look more like a watermark or background image. The back cover creates an abstract pattern of gears in various sizes and stages of completion. 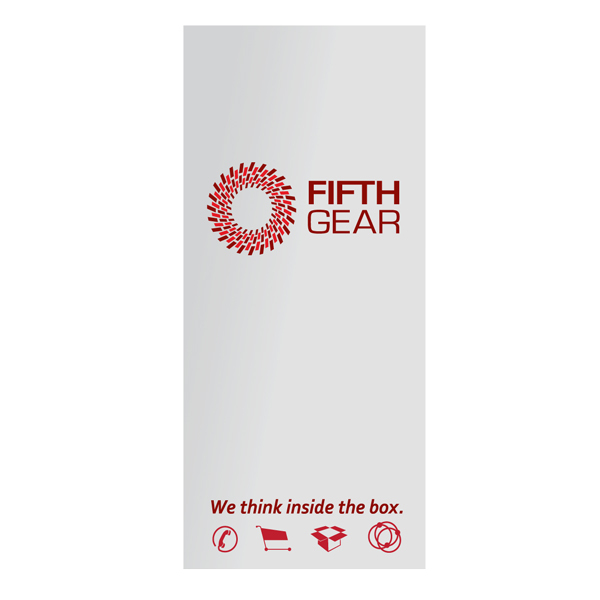 Now that brand identity is sufficiently established, Fifth Gear places its contact information along the bottom of the back cover. Side 1 printed with 1 foil stamped area and 1 embossed area. Side 2 printed with four-color process. 100lb White Linen stock uncoated. Hanah Mountain Resort & Country Club greets visitors with a design that's stylish on the outside and practical on the inside. An embossed header repeats "Welcome" to create a textural pattern on the front cover. 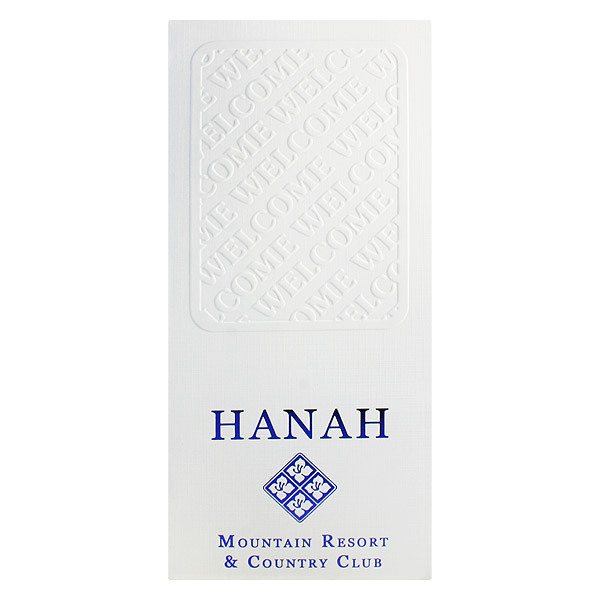 Stamped in Metallic Blue foil, the Hanah logo brings color and sophistication to the white background, its floral pattern reminiscent of the resort's wilderness setting. Upon opening the cover, guests are treated to a full color map of the resort's amenities, which include a rare 19-hole golf course and fine dining opportunities. Its placement on the right panel makes the map easily visible as soon as the cover is opened, while two inner pockets offer the perfect place to store brochures, coupons, or other important documents. Four-color process printed on Side 1 of uncoated 80lb Smooth White stock. H4 business card slits on right pocket. 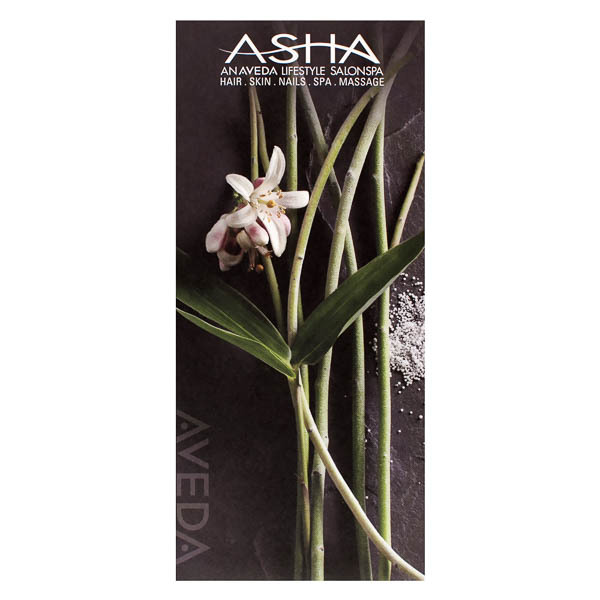 Water trickles down a slate gray rock behind fresh flowers, alluding to the relaxation guests enjoy at Asha SalonSpa. Two leaves stretch upward across the panel, pointing to the Asha logo. The logo reappears alongside a service list and URL on the left pocket; the right pocket holds a business card for a beauty consultant. Locations listed on the back give clients access to Asha spas in the Chicago area. Side 1 printed with four-color process. Side 2 printed with 1 PMS color. 12pt C1S Semi-Gloss stock coated with Aqueous Gloss. H4 business card slits on right pocket. Range USA caters to the Memphis area's all-American gun enthusiasts with an Army green background and patriotic red, white, and blue target. A diamond plate texture popular on truck toolboxes complements the military motif; its raised look makes the brand name and target stand out as if three-dimensional. As part of a sales package, the interior pockets contain resources to make sure gun buyers know how to handle their new weapons: safety class information; coupons for weapons, accessories, and ammunition; and the salesperson's business card in case of issues later. 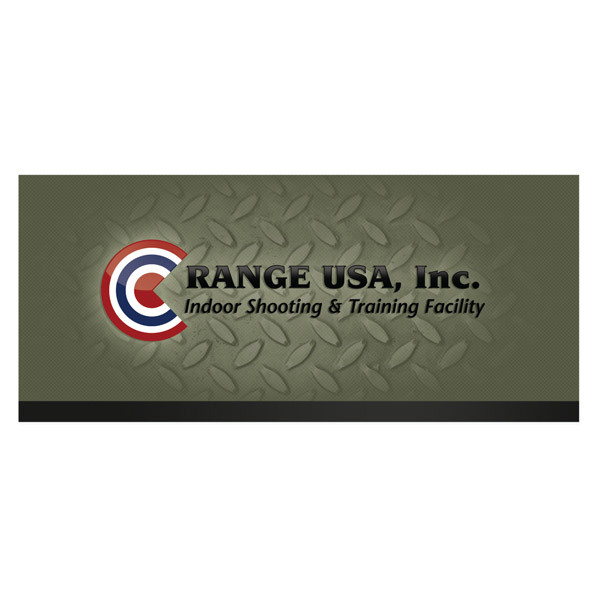 On the back cover, Range USA offers its contact information and a heartfelt "Thank You" to customers. This compact design's thin, elongated panels make it easy to hold and carry, fitting right into the palm of customers' hands or into a pocket or purse. Its small size presents important documents in style, without asking clients to carry around a bulky, oversized marketing packet. Two v-split pockets hold 3 11/16" x 8 1/2" brochures, rack cards, or letter-size paper folded into thirds. Available in all the same imprint options as its larger cousins, this product offers just enough interior and exterior panel space to create a stunning micro-design using your custom branding elements, images, or typography. Dimension Closed: 4" x 9"
Dimension Open: 8" x 9"
Acceptable Insert Sizes: 3 11/16" x 8 1/2"